The next Friends event in London is on 4 February, from 18:15 to 20:15 at Gibraltar House, 150 Strand London WC2R 1JA. It will take the now familiar form of a talk accompanied by a glass of wine and an opportunity to chat. 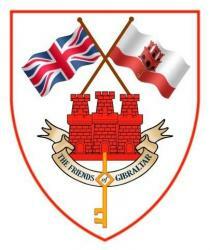 The speakers will be Dominique Searle, HMGoG’s Representative in London, and (we hope) Bob Neill MP, Chair of the All Party Parliamentary Group on Gibraltar. There will be a small charge of £9:00 to cover costs and it would be helpful if payment can be made in advance, either by electronic transfer (Lloyds bank Sort Code 30-93-74, Account No. 00310844) or by Cheque payable to the Friends of Gibraltar Heritage Society which should be sent to our Treasurer, Peter Hucker at 11 Sparke’s Way Feltwell, Thetford, Norfolk, IP26 4BX.